What is Integra Voice Services? Integra’s Hosted Voice options give you the ultimate in flexibility—offering premium features and capabilities coupled with the latest technology, all for one low monthly price. A cloud-based service, leveraging VoIP technology and Integra’s secure network, Hosted Voice provides PBX-like voice capabilities—without the PBX. That means you can enjoy a full set of unified communications features without worrying about purchasing, implementing or maintaining a PBX system. Why use Integra Voice Services? Fully Managed – Let Integra manage your voice services, so you can focus on your business.  Hosted Voice is cloud-based, so you don't need to worry about purchasing, implementing, or maintaining complex PBX systems. Reliable – Rest easy, knowing that your voice communications are backed by the power of an advanced fiber-optic network with best-in-class Service Level Agreements. Know that whether you are in office or working remotely on your PC, your customers will be able to reach you—consistently, reliably. Cost Effective – Scale affordably, with an integrated solution that allows you to pay only for what you need. A subscription-based service, priced per user—Hosted Voice is the perfect solution for businesses of all sizes looking to manage costs and simplify their bill.